Just received my order (yesterday) and was excited to install it on my Canon T50 camera. As I was installing it, I realized that the universal back is not so universal after all! The back's only way to secure itself to my camera is via 1 lonely screw at the bottom of my camera. After mounting, the Universal Back sits a good centimeter away from the shutter curtain! I understand the the I'm Back Focusing Lens is adjustable and springs with pressure but the universal back is so wobbly and delicate with the only one screw at the bottom that it's barely usable / realistically functionable, let alone take it outside and hope it doesn't fall apart. Secondly, I cannot connect the supplied I'm Back Sync Cable cannot connect to my camera, as there is no place to connect it to. It doesn't seem like the Canon T50 is compatible with this sync cable ... (there IS a "Remote Control Socket" on the bottom left side of my camera BUT, the sync cable is not compatible with the socket whatsoever). 1. The Universal Back system does not fit well whatsoever (no matter how much I tighten the one screw on the bottom). 2. Supplied Sync cable is not compatible. The Universal cover can and should in some cases be "cut" or if you prefer, "perforated" with a soldering iron tip or with a dremel. It provides some fixing points, but not all, because the cameras are a hundred models, and therefore, it exists for you to adapt it to your requirement. 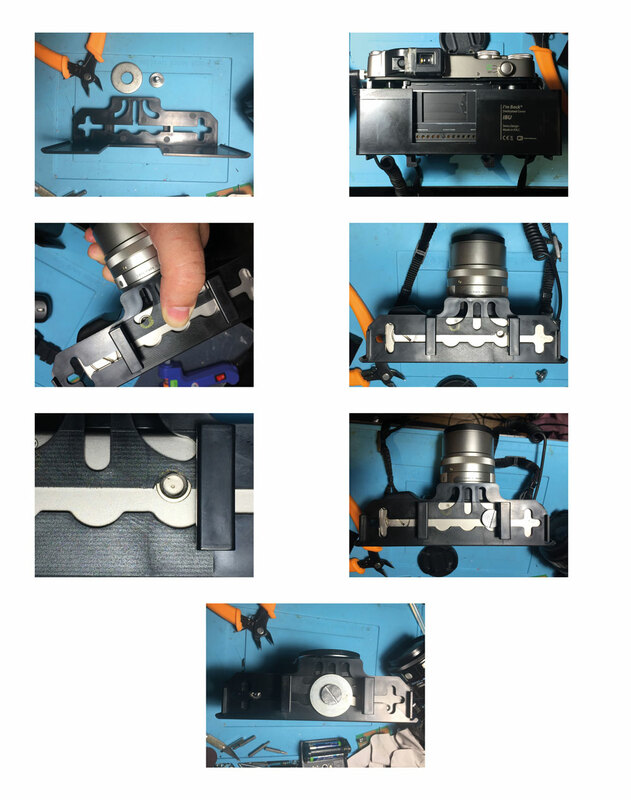 I make you see the photos of a universal cover that I adapted to a G2 Contax. If necessary, for greater stability and strength, use the supplied bolt with a larger size nut to have a larger area. I'm about to make more dedicated covers, and who knows, do not make one for the Canon T50 models ... I hope I have helped you!